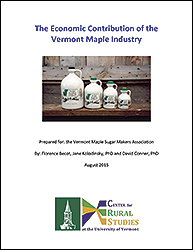 The University of Vermont Center for Rural Studies recently released a report commissioned by the Vermont Maple Sugar Makers’ Association (VMSMA) on the economic impact of the maple syrup industry in Vermont. Unsurprisingly, maple contributes a great deal—between $317 and $330 million in direct income. But this undoubtedly underestimates maple syrup’s total economic impact. The maple syrup industry contributed over $140 million in profits and wages, according to the study, adding over 3,000 full-time jobs to the state. Maple syrup also accounted for roughly $237 million in sales. Vermont produces more maple syrup than any other state, contributing 42 percent of total US production. So, go ahead and pour on the maple syrup. Not only does it potentially stave off Alzheimer’s, but it also is a major contributor to Vermont’s rural economy. It helps keep Vermont, Vermont. 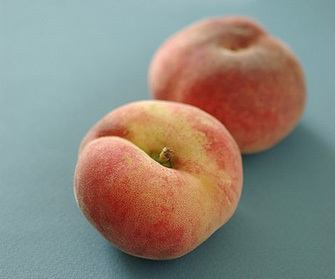 What could be sweeter?